The path started in Bolton. Harrison, whose parents split up when he was 3, took a train on his own several times a week after school to the training site in Manchester, where it felt as if he completed the same drill every day: receiving a ball on the left wing, accelerating down the sideline and swinging a left-footed cross into the box. At home, Debbie Harrison was quietly researching alternatives. She guessed his soccer talent could carry him to a choice private school and an elite education, something she had never had herself. She set her sights on the Berkshire School in Sheffield, Mass., where tuition for boarding students runs just over $50,000. The New York City F.C. 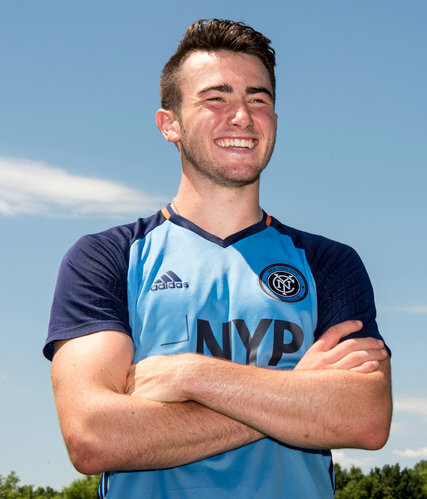 rookie Jack Harrison was the No. 1 pick in Major League Soccer’s draft. Did Nikola Mirotic troll Bulls with emoji tweet?